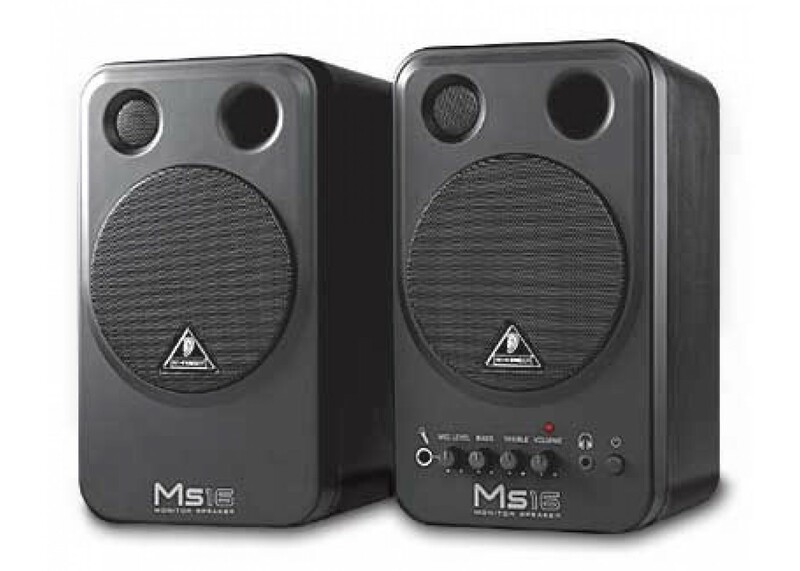 The BEHRINGER MS16 is a compact 2-way stereo speaker system for home studio or multimedia applications and instrument or vocal monitoring. Two high-power amplifiers drive the 4 woofers and the high-resolution tweeters. The front-mounted volume control and individual bass and treble controls make accurate sound adjustments a breeze. Two stereo line inputs (RCA and 1/8 TRS) allow simultaneous use of two stereo sources, so you can play back CDs, MDs or MP3s and use an electric guitar/keyboard at the same time. In addition, the 1/4 TRS microphone input lets you mix vocals with a stereo track. 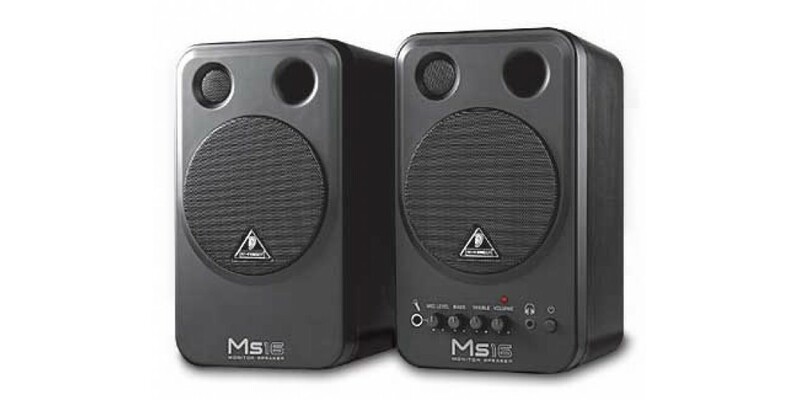 Magnetic shielding and compact size make these speakers perfect for placement near video monitors or computer displays. Compact stereo speaker system ideally suited for home studios, multimedia applications, keyboard and vocal monitoring etc.